Even in the Church, there are times when even the best made plans fall apart. Projects seem too daunting, volunteers are few in number, or those who took on the task were not able to rise to the occasion. 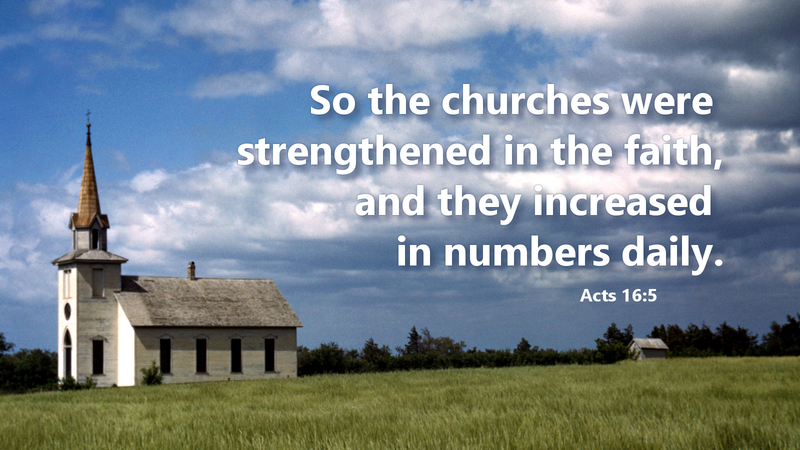 Barnabas and Paul planned to revisit those churches included in their first missionary journey. But prior to leaving, they had a stark disagreement. At issue was John Mark’s abandoning them early on. When the going got tough, young John Mark retreated to his home in Jerusalem. Yet, this was not the end for Mark. As Mark grew in years and experience, he also grew in faith. At the point of our reading today, Barnabas is ready to offer him another chance. Barnabas took Mark along to Cyprus where he continued his ministry. Later, Mark would also serve extensively with Peter (1Pet 5:13). Even Paul would come to rely upon Mark as a servant of the gospel (Col. 4:10-11). Mark serves as an example for the Church today. Even in our failures, God strengthens the faithful through the power of the Holy Spirit so we may continue to share the gospel of Jesus Christ throughout the world. Prayer: Mighty God, strengthen my weaknesses and give me confidence to boldly share the truth of your Son, Jesus Christ. Amen. We all need a Barnabas in our life. Someone who is strong in the Lord and willing to risk his reputation to help out another believer. While I have taught classes on the disciples, I always ask one question in particular, if you were to build a church, how many Simon Peters would you want and how many Andrews? Barnabas, Peter & Paul were all strong willed individuals, they clashed. I will take1 Peter, and a bunch of Andrews who will work quietly in the background seeking no recognition for themselves.